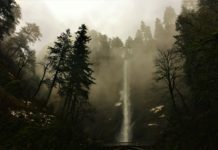 With the Fourth of July right around the corner and the heat wave kickin’ in for 2018, I figured it’d be a good time to highlight a few destinations for Independence Day in Oregon. In every corner of the state, you’ll find red white and blue plastering the streets, and there is an endless list of events and activities to choose from. Whether you want to see an amazing firework show, hear some live music, or just relax and enjoy a craft beer, we have you covered. 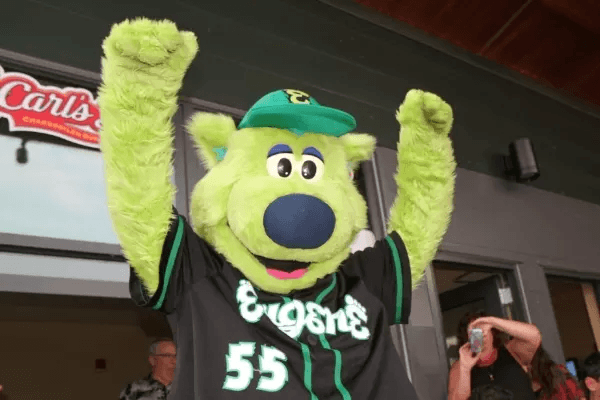 Come to see fireworks at the Emerald’s game July 3, and celebrate Independence Day “eve” with Sluggo and his crew. Fantastic fireworks follow the Eugene Emeralds v. the Everett AquaSox showdown. It doesn’t get more American than an old fashion hot dog and a baseball game! Here in my neck of the woods, I have enjoyed the firework show plenty of times at Island Park in Springfield. Pony rides, magic shows, live music, crafts, critters, food and plenty of fun at this park to keep everyone entertained. We recommend you show up early, as this event is hugely popular in the area. Island Park is located at 200 W B St, Springfield, OR 97477. Yeeeeeeehaw! Fireworks, cowboys and motorcycles will make for the perfect 4th. 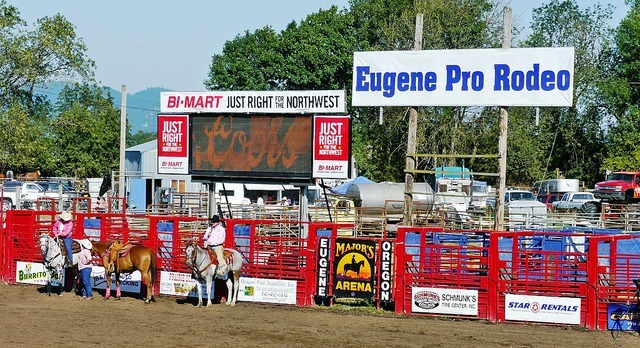 The Eugene Pro Rodeo is in its 27th year of festivities for Fourth of July week to bring back better thrills than ever before. Barrel racing, bull riding, steer wrestling and roping events are just a few of the fun things happening at the rodeo. On Tuesday, Wednesday and Saturday treat yourself to the beer garden as the gates open and a 21 and up dance after the show ends. Pre-rodeo commences at 6 p.m. and the PRCA Rodeo beings at 7:30 p.m. at 90751 Prairie Rd, Eugene, OR 97402. Hit the link here to read more. 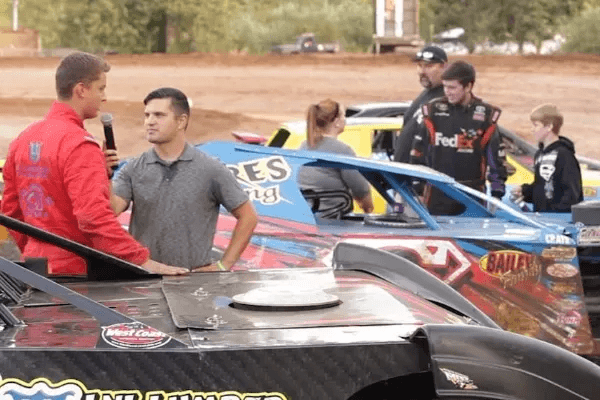 First, you get to watch the dirty fly as race car drivers from all across the region speed around the ¼-mile banked clay oval race track, then you get to enjoy the fantastic fireworks show. 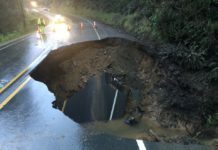 The track is located at 2150 N Douglas St, Cottage Grove, OR 97424.
a flyover by the National Guard. Fireworks and sparklers can be purchased from the Rockaway Lions, Chamber of Commerce or the Neah-Kah-Nie speech team. 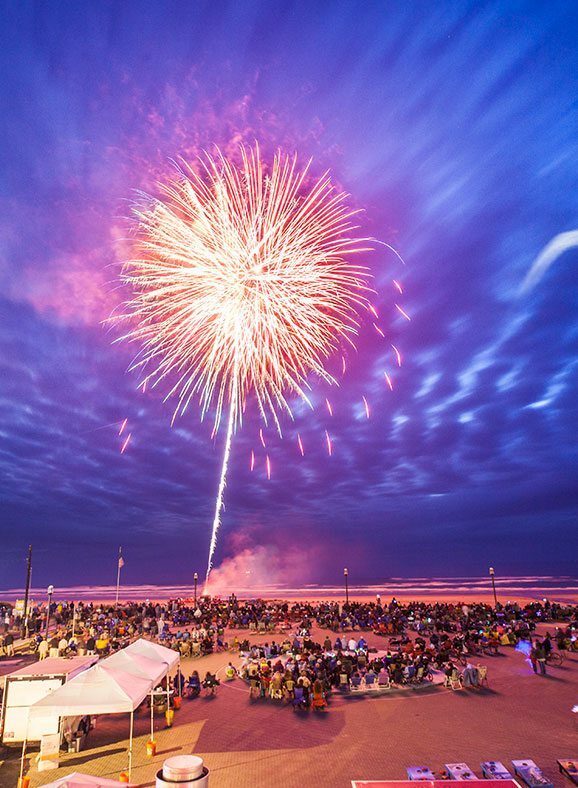 Head on over to the Rockaway Beach Wayside at dusk to catch the fireworks at around 10 p.m. when the Rockaway Beach Volunteer Fire Department launches their mesmerizing fireworks show. 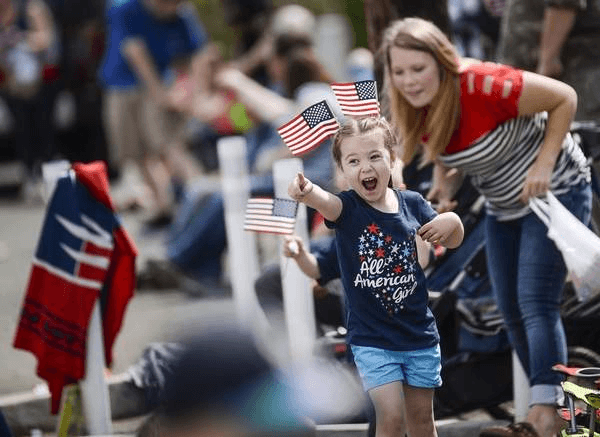 A late morning Independence Day parade honoring the town’s veterans winds north up Spruce and back south down Hemlock with participants throwing candy and dog treats to spectators and their pets. The parade usually starts around 11 a.m., heading north on Spring St. This parade begins at the staging area between Gower and Monroe St.
Here’s a great deal for anyone looking for a hot breakfast at the Manzanita Fire Department on 5th and Laneda. All food is under $10, and served from 8 a.m. to 11:30 a.m. in support of the local Neah-Kah-Nie athletic teams. The theme of this year’s parade is “The Spirit of America”. The parade starts promptly on July 4 at 1 pm from Division and Laneda. While there will be no evening fireworks display this year, the show does go on with Manzanita’s wonderful Fourth of July Parade! 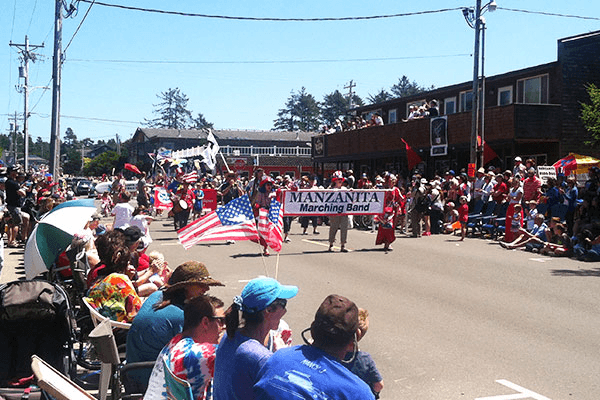 Registration forms are now available for the Manzanita Fourth of July Parade. Forms are available at City Hall or on the City website www.ci.manzanita.or.us. Registration forms may be returned to City Hall or on the day of the parade to the Registration Desk at Underhill Plaza. The registration desk will be open from 9:00 a.m. to 12:30 p.m. A special section for military veterans will be near the front of the parade. Arrangements will be made for veterans to ride the parade route. Veterans who would like to be in the parade should contact Owen Nicholson at 503-368-5493 or leave a message at City Hall 503-368-5343. 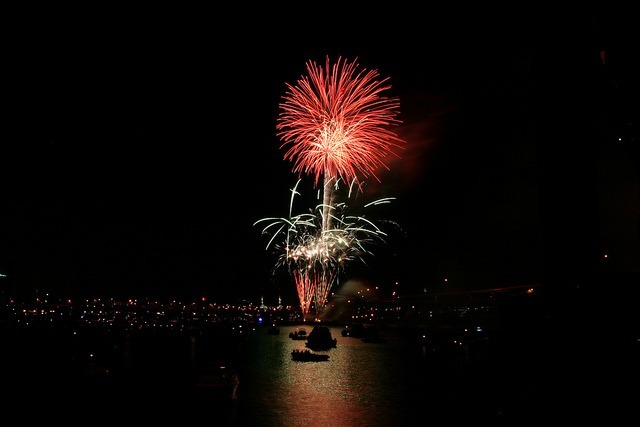 The firework show will begin at dusk/dark, but be sure to arrive early to claim a prime viewing spot along the river fireworks will be launched over the Columbia River, from the East End Mooring Basin. This year’s theme for Warrenton’s Old Fashioned Fourth of July will be “Salute our Heroes”. Warrenton’s Old-Fashioned Fourth of July is sponsored and organized by the Warrenton Business Association. The parade begins at 3 p.m. and runs down Main Avenue from the post office to Ninth Street, and then turns west to Warrenton Grade School. Read more at Old Oregon. 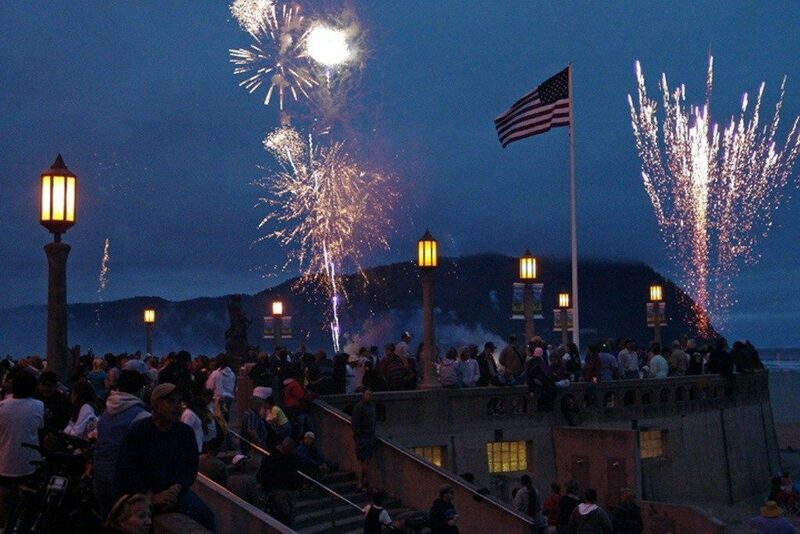 One of the largest fireworks shows on the West Coast is hosted every year right here in Seaside. Enjoy a 25 minute extravaganza timed to music (tune your radio to KSWB 840 am for synchronized music) down at the Seaside beach. The festivities start at dusk, which is around 10:00 p.m. Throughout the rest of the day, enjoy the 4th of July Parade, Old Fashioned Social, and more community events to be announced. Come and enjoy the 4th of July Old Fashioned Social, a Seaside tradition. The social, hosted by the Seaside Historical Society & Museum includes food, music, games, a hilarious cake walk, silent auction, face painting, and much more. The social goes from 11:00 a.m. until 3:00 p.m. at the museum. No tents and/or overnight camping are permitted on Seaside beaches. Visitors are asked to remove their trash. Empty trash bags are available in many locations on the beach and full bags may be left next to public trash cans. Fireworks are not allowed in the “Free Zone,” which is north and south of the Turnaround, inside the orange fencing. 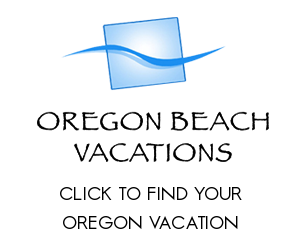 Only fireworks legal in Oregon will be allowed in Seaside city limits and on Seaside beaches. Beach fires are permitted 50 feet from dune grasses, with a fire and pit no more than 3 feet deep, 3 feet wide, and 3 feet high (flames). No pallets or accelerants are allowed. For the safety of emergency crews and beach-goers, please extinguish fires completely and fill pits back in. 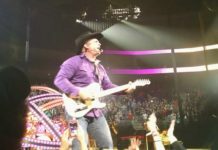 It is recommended that visitors find parking on the east side of the Necanicum River, in order to avoid a 60 – 90 minute exit time after the show. Please only park in legally designated parking areas and avoid private property. 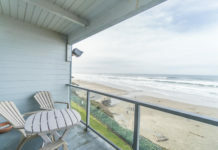 This gorgeous show bursts above the skies in Siletz Bay at dusk, and can be seen from anywhere on the beach, from Gleneden Beach up to Road’s End. The annual 4th of July Parade’s theme for 2018 is Star Spangled 40’s. 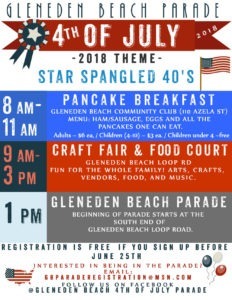 Grab the family and join in on some pancakes, craft fair and food, and the always popular 4th Of July parade. Bend’s Fourth of July Fireworks show launches from Pilot Butte State Park at 10 p.m. and will surely be impressive. You can see the show from just about anywhere in bend as long as Pilot Butte is in sight. Head over to one of Bend’s many parks such as Blakely Park off Brookswood Boulevard or Juniper Park behind the swim and fitness center. 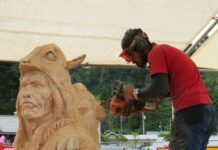 A local favorite for viewing the show is up the Overturf Butte, or grab a blanket and head over to the Les Schwab Amphitheater, near the Old Mill District. 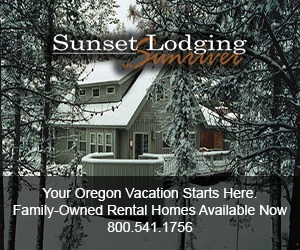 One of Oregon’s most favorite places to vacation kicks off at the Fourth of July Festival in the Village at Sunriver. The festival goes from 10:30 a.m. to 4 p.m. 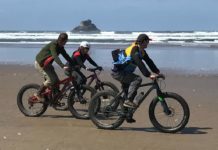 The day kicks off with a bike parade; followed by a fun-filled day for the whole family, including entertainment, games, and food. Enter the watermelon eating contest, test your skills on the rock wall or Hoops, and much more. Also, see the cool fire and police vehicles and talk with local police officers and firefighters. Join the fun and celebration or nation’s birthday! For more information hit the link here. Celebrate the U.S.A. with a day of family fun on the midway, a summer BBQ in the Oaks Park picnic areas. 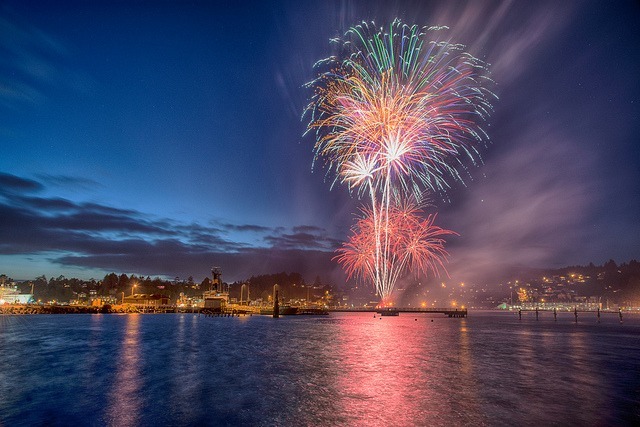 The event will include live entertainment from local performers, and Portland’s best fireworks display at dusk! All picnic areas are first come, first served. Head to West Linn for a day of celebration at the beautiful Willamette Park. This event is free to the public because of generous sponsor donations and a volunteer planning team. Show up early to reserve your spot! Don’t forget to bring a picnic blanket or lawn chair and enjoy the afternoon and evening commemorating our great country. Fireworks, live music, beer, and food and more. A full day of fun. Parade, live music, contests, food, attractions, games, vendor booths, a generational queens court and other great entertainment for everyone plus the only fireworks show in East county. Vendors will be open and ready to sell at 11:00 am. Read more info here. Celebrating over 50 years of providing our community with a beautiful fireworks display. Using state of the art fireworks synchronized to music, the 2018 display will once again be launched from Pearson Field, providing attendees an amazing and exciting fireworks show. The Fort Vancouver National Trust invites you to the Fort Vancouver Historic Site on the Fourth of July for 2018 to view simply one of the best firework shows on Earth. Bring the fam, sit back and relax while enjoying one of Vancouver’s most beloved traditions. Don’t forget your chairs, food, and non-alcoholic beverages for the spectacular show. Food vendors will be on site if you don’t bring your own. All bags will be checked at entry gates! More info here.